Spring, that most wonderful time of year is with us again, bringing lighter days of sunshine, glimpses of warmth and the promise of more to come, with many flowers, trees and shrubs bursting into life. What better month than now to take the time to discover the many parks and gardens of Italy, all coming alive with rich colours and scents. Here are just a few of our favourites. This is a wonderfully landscaped garden found in Cisterna di Latina, central Italy. Covering over 200 acres is it an utter delight, filled with medieval ruins, different varieties of trees, lush meadows, flowing water and a wondrous mix of roses and other plants, some of them exotic. Looked after by the Italian foundation Fondazione Roffredo Caetani, the public can visit between April and November. Perfect for couples looking to spend some memorable time together, it has been referred to as “the most romantic garden in the world”. If you wish to explore further afield, then the towns of Norma and Sermoneta are close by. 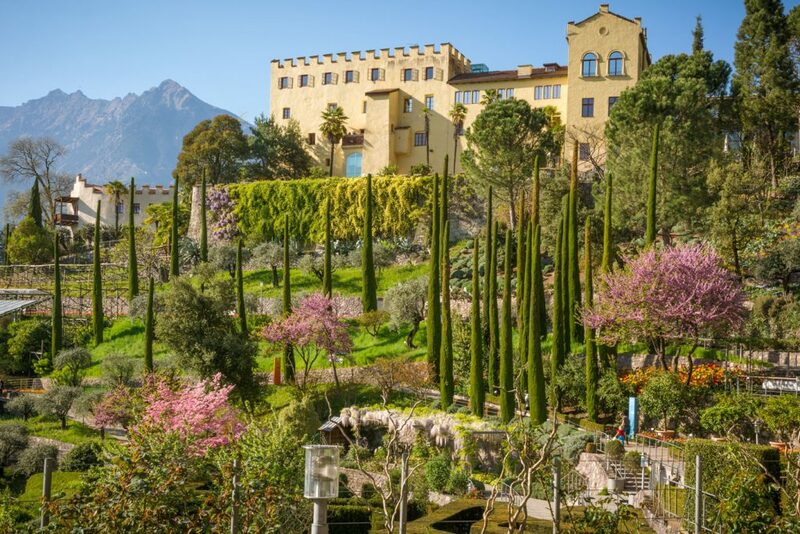 If you adore botanical gardens, head off to the western shore of Lake Maggiore in Pallanza where you will find Villa Taranto. Dating back to the 1930s, they were created by Neil McEacharn who landscaped the area, adding many water features. He named the gardens after his ancestor Étienne Jacques Joseph Alexandre MacDonald who was named Duke of Taranto by Napoleon. Taking many years to complete, they eventually opened in 1952, being looked after by an NPO after McEacharn’s death in 1964. Whilst the gardens are open to the public, the villa is not as it is used by the government. 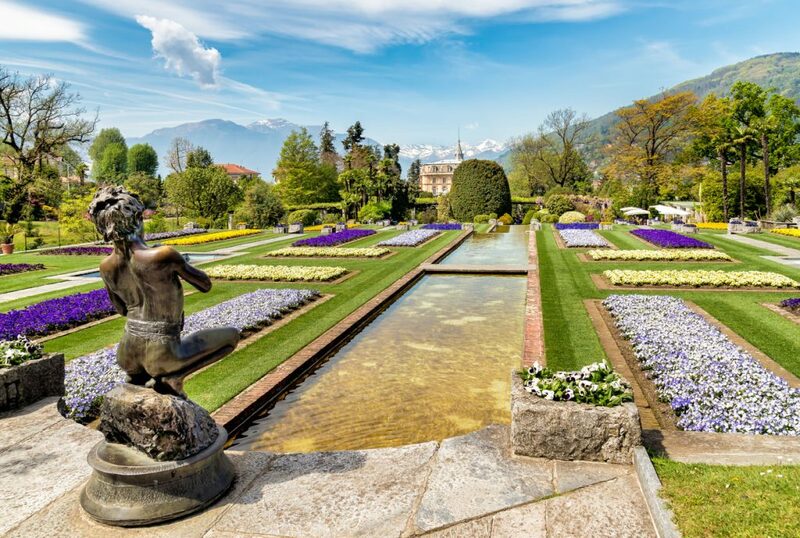 Beautiful botanical gardens, you will find these located around the Castle Trauttmansdorff in Merano, open daily once the warmer spring months appear. Dating back to 1850, they were the dream of Count Trauttmansdorff who decided to create them when the castle was renovated. Much loved and often visited by Empress Elisabeth of Austria, a bronze bust of her stands in the gardens, placed after she was assassinated in 1898. The gardens offer many magical sights with not only local but also exotic plants, some of them native to the South Tyrol region. Located in Ravello, on the Amalfi coast in the south, these gardens date back to the 11th century AD and are rich in history. 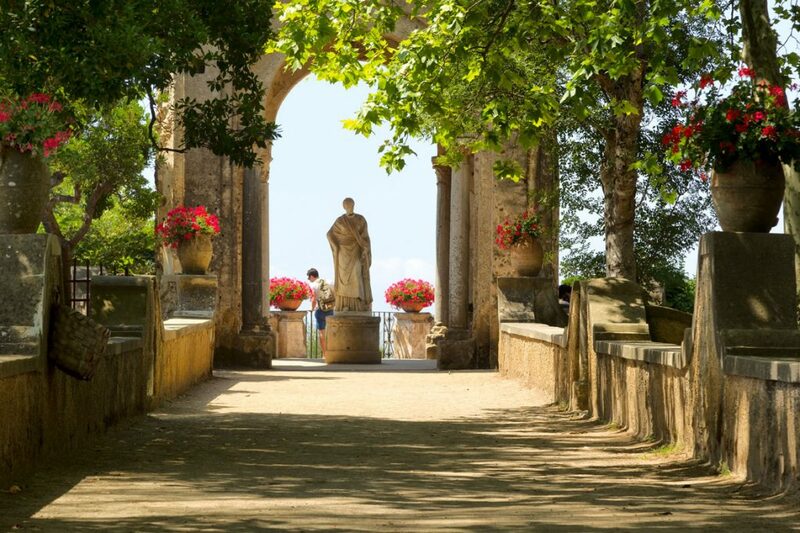 Well-known for its Terrace of Infinity (Terrazzo dell’lnfinito), the house and gardens were renovated back in the early 20th Century by Ernest William Beckett. An architectural delight as well as a floral one, the villa contains many salvaged items from all over Italy, which have added greatly to what was once the original villa. Now a hotel, the gardens are open to the public. 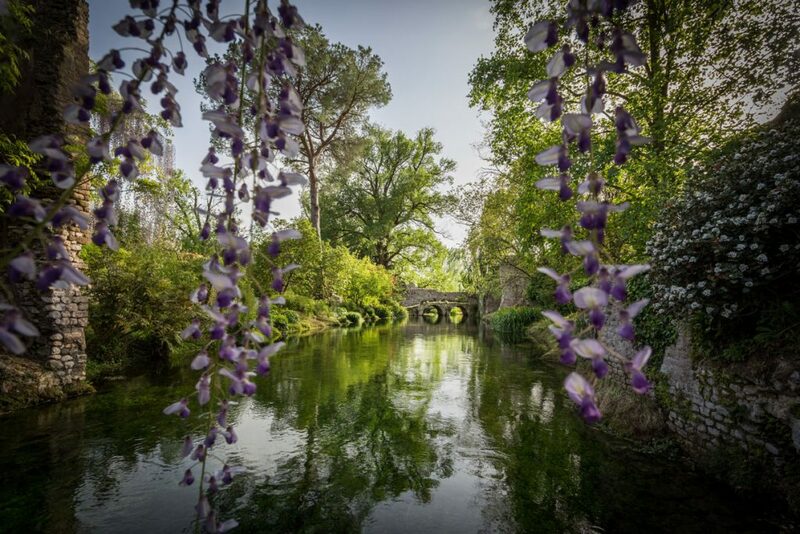 A natural park of 60 hectares, situated in Valeggio sul Mincio, just eight kilometres from Peschiera del Garda, this garden won 2nd prize in 2015, receiving an award for being one of the ‘Parco Più Bello’ in Europe. 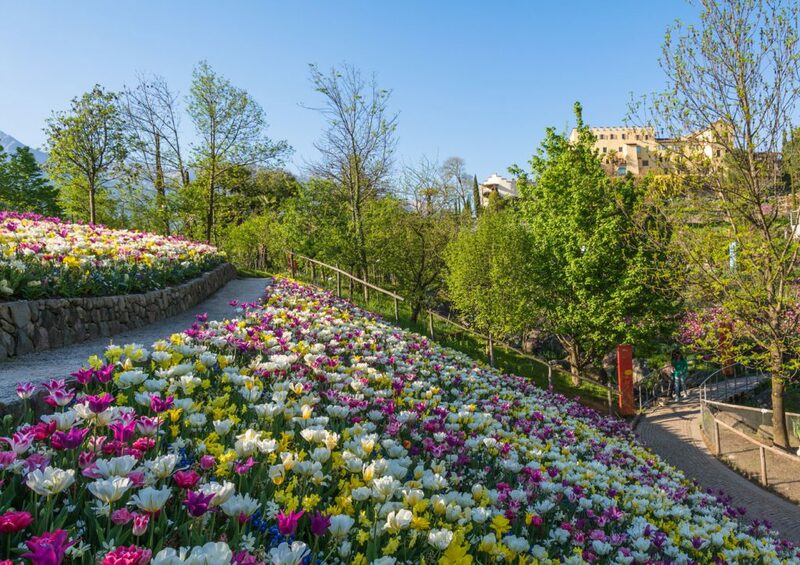 With some stunning historical and natural attractions, during the spring months you will find one-million tulips quickly followed by a whole avenue of thirty-thousand roses from May until September. As if this is not enough, you will also discover many gentle stretches of water filled with aquatic plants, all surrounded by richly verdant fields during June/July. Known as the Park of the Monsters, this is a complex formed by many monuments, located in Bomarzo in central Italy. Dating back to its creation in the 16th century, it hides away in a wooden valley below the Orsini Castle. If you love Gothic then the many sculptures and buildings surrounded by lush vegetation will be right up your street. 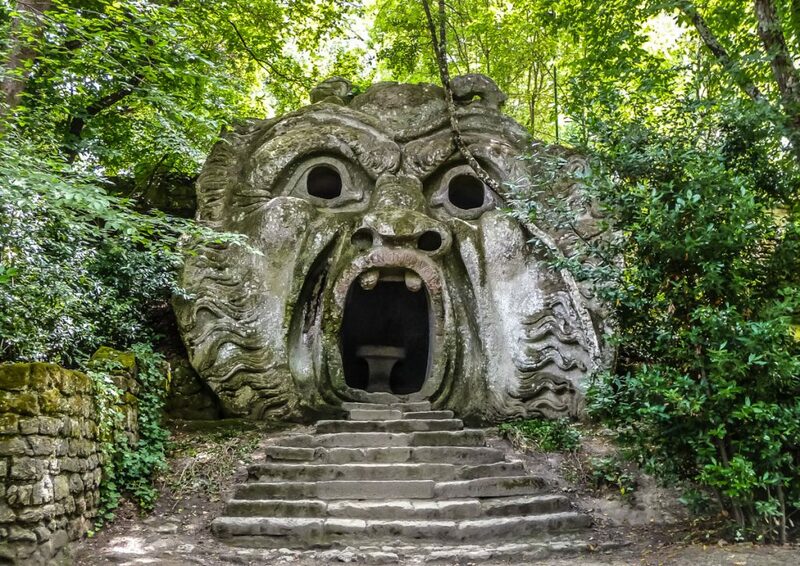 Some of the sculptures have been carved out of the bedrock and the whole thing is the work of Pier Francesco Orsini. When his wife died he created the gardens in order to come to terms with his loss. The garden was designed by Pirro Ligorio and the sculptures by Simone Moschino. If you love these Italian gardens then you will appreciate the AllÓRA MEADOW and BOTANICAL collections of linens, just two of our new spring collections. Based upon the wonderful sights and scents of wild flowers, lush green grass and leafy glades, these ranges have been created using only the finest hand-woven Italian linen fabric. With a choice of fresh clear colours, all of the cloths are hand-painted by artisans or decorated using natural pigments and carved wooden blocks. Check out the wonderful MEADOW and BOTANICAL collections here. 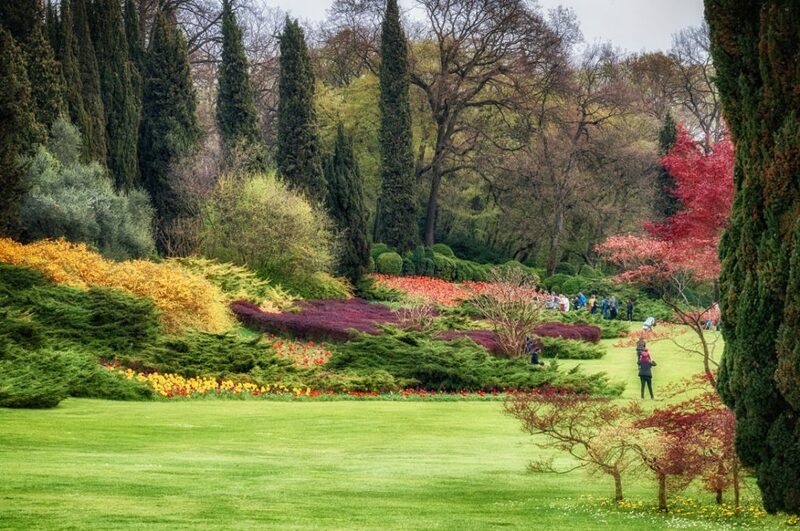 This entry was posted in News and tagged beautiful gardens, meadow.